Saving time and money on your next environmental site assessment just got a little easier. Terracon’s new Environmental Site Assessment (ESA) Field App allows assessors to be more efficient while conducting the site reconnaissance and completing report writing for Phase I ESAs. This mobile app, developed by Terracon, is the first of its kind in the environmental industry. It can be used for most of Terracon’s Phase I ESA projects. Technology associated with the app creates opportunities for Phase I practitioners and other Terracon professionals to streamline assessment processes, efficiently coordinate project deliverables, and communicate issues to clients faster. The mobile app is estimated to save 25,000 to 30,000 total labor hours per year and won the EDR 2017 PRISM Technology Innovation Award. “We are fortunate to have an incredibly dynamic team who enjoy rising to the challenge of creating efficiencies that help us serve our clients better each day.” John Sallman, National Director, Terracon Environmental Services. Prior to the development of the app, each assessor would take a site reconnaissance form, note pad, camera, or mobile phone into the field to complete each reconnaissance. Then, back at the office, photos would need to be uploaded to the project file and notes taken would be transcribed into the applicable sections of the Phase I report. Now with Terracon’s ESA Field App, all the assessor needs is a mobile phone! Once on site, our assessor collects necessary data to populate several sections of the ESA report, including the interview, site observations, adjoining properties, and if applicable, additional services such as limited sampling of building materials. The content of the app is structured based on the ASTM standard requirements. Additionally, the assessor can take representative photos and begin a site diagram, all within the app. 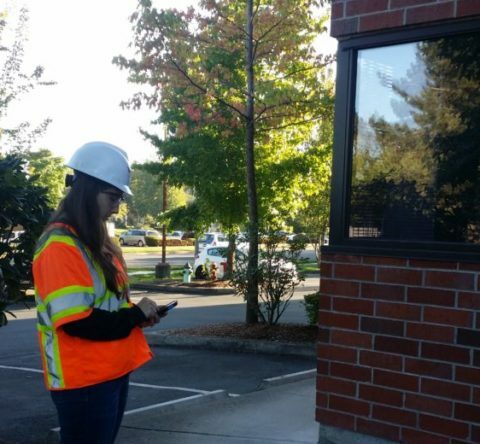 With necessary questions and user-friendly answering options, the app allows the assessor to streamline site reconnaissance and be confident the necessary information was collected in the field. Once the required questions in the app are answered, the data can be uploaded to Terracon’s server. The ESA report draft can be generated, with information entered in the interview, site observation, adjoining properties, and additional services sections of the app transferred to the applicable sections of the report. Photos taken in the app will be uploaded to the project file and the site diagram features will be uploaded to Terracon’s GIS Toolbox. “It was really fun to be part of the team that was given the time and creative freedom to design this app,” said Emily Blakeway, field scientist in Terracon’s Seattle office. Emily was part of the app development team that included several assessors and IT personnel from Terracon offices across the country. Emily Blakeway is an environmental scientist in Terracon’s Seattle, Washington office. 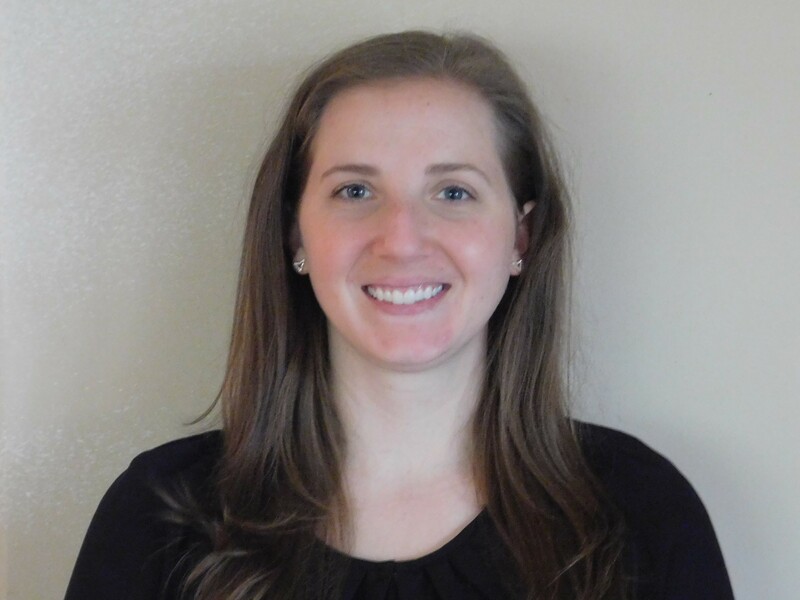 Emily’s duties include performing Phase I Environmental Site Assessments (ESAs), soil, groundwater, and soil gas sampling (Phase II ESAs), underground storage tank (UST) site assessments, remediation oversight, report writing, and business development support. Emily has five years of professional environmental consulting experience on residential, commercial, and industrial properties throughout the northwestern United States.